Live Event on 7/28@12CST, part of the SomeoneHelpMePlease ARG. Wearing a mask is encouraged. Meeting with character “Nathan Liebert” and planning an attack on the “Three Frogs” research center. Possible swag, still being determined if we have the supplies for it. Meeting place is the corner of South Glenbrook and Carroll Drive, Garland TX, under ‘Nathan’s Lamp Post’. 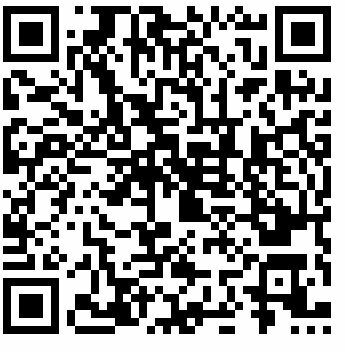 If you aren’t going to ARGFest in Toronto this week and are near the Dallas/Fort Worth area, this might be a great opportunity to participate in a live event where it’s not a first come, first served race to find one item desired by hundreds of people. PS – The text is a cut/paste direct from the email, so it really does say CST instead of CDT – although I’m guessing it probably is just a typo (no one ever gets time zone stuff right). At the time of each flight, an ‘In Transit’ message will appear as well as a link to a note that gives instructions on how to pick up whatever it is you are supposed to pick up (apparently an attaché case). When the package has been claimed, the status message will change to ‘Arrived’ and the link will disappear. 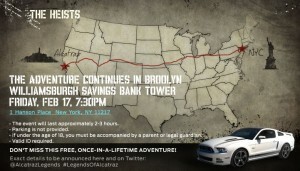 Legends of Alcatraz is having another live event tonight (although you would hardly know it as it hasn’t been mentioned by @AlcatrazLegends and I’m fairly certain that the website didn’t always load the Heist information first) – this time on the opposite side of the country at the Williamsburgh Savings Bank Tower in Brooklyn. The event will last approximately 2-3 hours. 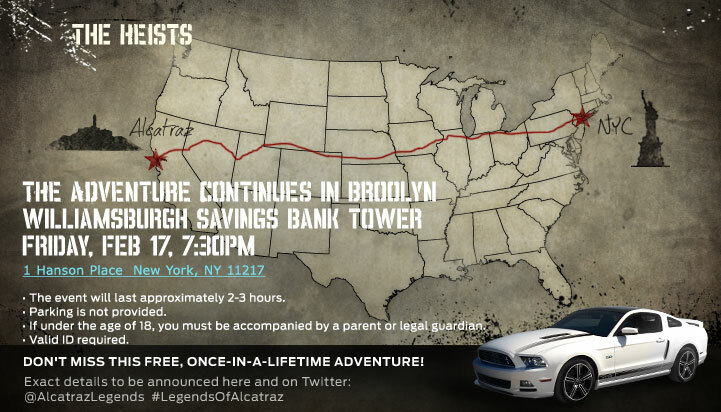 Hopefully @AlcatrazLegends will provide more exact details soon (like if there is a cap on the number of participants) although it’s entirely possible with the almost extreme lack of promotion of this event that it may not be too crowded. Still, if you can, I’d get there early. The Mark of the Spider-Man viral site has updated with six locations for a new series of dead drops for the movie. It appears that each city will have an associated Twitter account that will tweet out clues to several different dead drops. The first person (over 18) at each location who gives the appropriate password will receive a prize (the first Atlanta drop looks to contain two sweatshirts, a phone, plus instructions for later). Currently, new clues for each city go up 45 minutes after the previous drop was found, so plan accordingly if you’re looking to grab one of the drops. 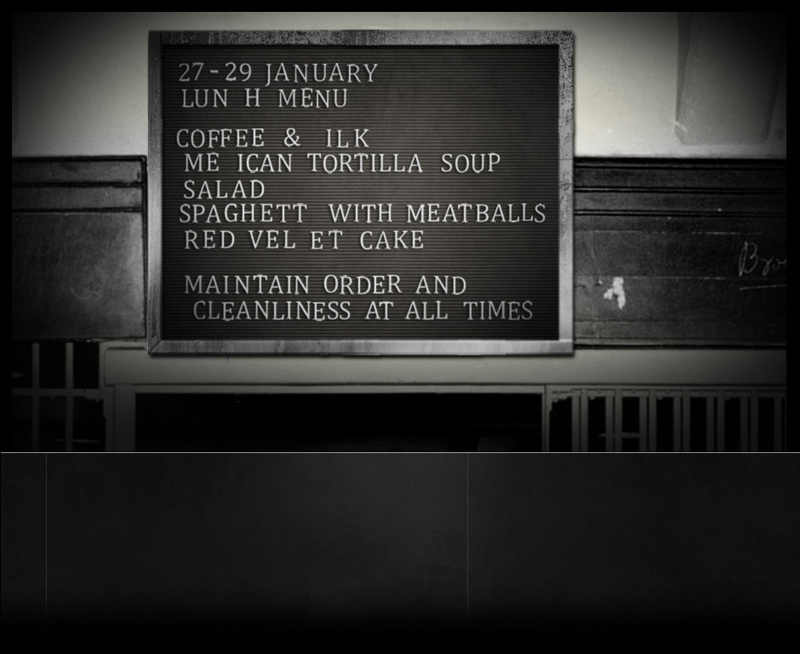 Visiting LegendsOfAlcatraz.com leads you to a puzzle where you must determine at what time the Alcatraz Spaghetti Riot was scheduled to start. 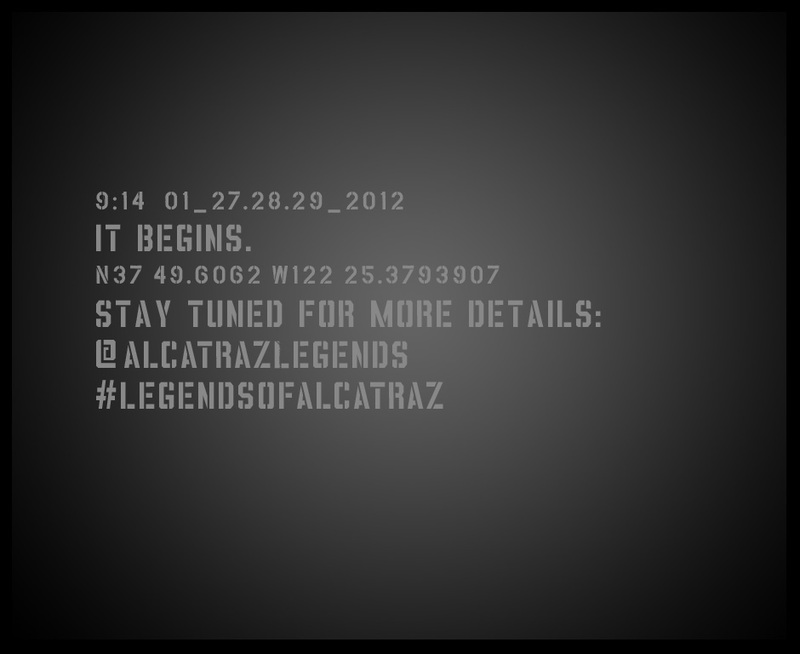 Inputting 9:14 into the answer box gives you a message that “It Begins” on January 27, 28 and 29 at 9:14 at Alcatraz. The linked twitter account @AlcatrazLegends shows off a photo of a metal box that just so happens to have been received by several different bloggers, so it’s possible that more boxes may be given away to those that show up. It’s hard to say at this point in time what Fox has up its sleeve for event but at least they scheduled this for the weekend so you wouldn’t necessarily have to take off from work if you didn’t want to. If you need to be on the island by 9:14, AlcatrazCruises.com has a tour that leaves Pier 33 at 9:00am but it costs $26 so take that into consideration before deciding to see what may (or may not) happen (unless of course Fox springs for a chartered boat to take some lucky people out to Alcatraz or you know where to find cheaper tickets). 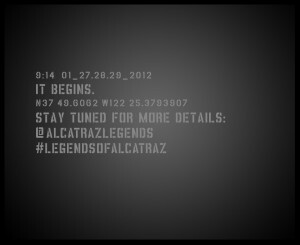 Hopefully @AlcatrazLegends will provide more details soon. Update: Fox has finally given us more information about what will be happening. Event lasts approximately 2-3 hours. Food and drink are not provided. Update 2: The first 302 people to check in at Pier 33 starting at 6:00pm will be selected. The boat leaves at 7:00pm so if you get selected, be prepared to hang out so you don’t miss the boat. After searching bloody hotel rooms, sorting through paranormal emails and voicemails, and taking walks through San Francisco, players were finally able to solve enough clues to unlock the hexed documents folder on Oliver’s phone. III: Word spelled out in his last tarot reading. Inputting “XXII Capti Animas” unlocked a psychic pass to a trial on Oliver’s phone. A few minutes later, zoetrap.com updated with details as to when Oliver’s trial would take place. So if you are in San Francisco and want to help (or even condemn) Oliver, head over to the Cellar Bar tonight. At the very least, you should be able to meet some very cool ARG players and creators. If you’re not in San Francisco, the website promises to update with what happens, so that everyone can still play along. Further Information: Zoetrap — @_zoetrap on Twitter — Audioboo Voicemails. 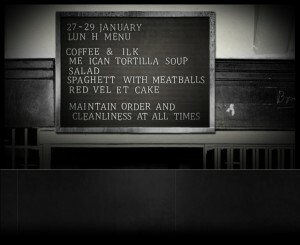 Storyworld 2011 is taking place in San Francisco this week and at least one new ARG is taking advantage. Oliver Drew is an Occult Transmedia producer who had planned to present some workshops at Storyworld where he would demonstrate “how to harness the power of the spirit world as a transmedia platform.” Except that during a Twitter seance last night, something went wrong and now he’s missing. His girlfriend, @eva_lake is asking / begging anyone in the area to go check out his room to see if they can find any clues as to what happened to him. It’s possible that Oliver’s infamous zoetrope is still in the room and that it will hold clues to his disappearance. I can say from experience that searching through a hotel room for an ARG is unlike anything else. If you go, try to document everything just in case you aren’t allowed to remove anything from the room. You never know what might end up being important. 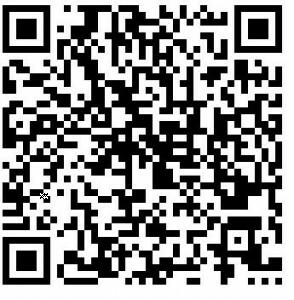 Update: @eva_lake has tweeted a cleaner version of the QR code that was in the Paranormal Press article. It’s free, but only for iPhones / iPod Touches. However, you can view the videos at zoetrap.com and listen to the voicemails at Audioboo. The Darkest Puzzle is a 9/11 conspiracy ARG that has just recently started. It’s newest “puzzle” is a video of a man who appears to be hiding something in some rocks on a waterfront. Players have determined that it is the Grand Ferry Park in Brooklyn, NY. No idea what is there or even why that location was chosen (hopefully the item is waterproof) but presumably it’s important enough to warrant a video of it’s drop on the game’s Facebook page. Thanks to @wikibruce for the heads up. The InsideExperience tweeted a bit about the finale. The final episode of INSIDE airs tomorrow morning. And for those of you who live in LA… we’ll be at Union Station at 8:15 am. Will you? Several characters are converging on the site since supposedly that is where the kidnapped brunette will be. It’s possible that you can see her get rescued (since I supposed it’s too much to hope that she and the kidnapper would both get run over by a train). But as it’s virtually impossible to find any information on the Facebook pages about what is going on, it’s pretty much up in the air as to what exactly will go down. Just keep that in mind if you decide to head downtown around rush hour.